Thars' another legendous' actor who actually contested the 12 Hours of Sebring, for which Y'all may have heard his name? As it's none other than the man who made an epic movie 'bout Circuit de la Sarthe. But that was in 1970, and I'm getting ahead of Thyself, especially since I didn't celebrate Mario & Bruce Mclaren's victory just over a half century ago. When the Duo won aboard Shelby American's Ford GT-40 Mk IV in 1967. As these cars, for which Dan Gurney & A.J. Foyt subsequently won that year's 24 Heurs du Mans aboard, were also known as the "J-Cars," in deference to the Rules Appendix they were designed for. As remarkably, one of these Uber rare chassis has just come up for auction. While probably one of the rarest GT-40's of all, Ford's X-1 GT-40 Roadster inexplicably won the '66 event, a race that Dan Gurney and Jerry Grant should have won. 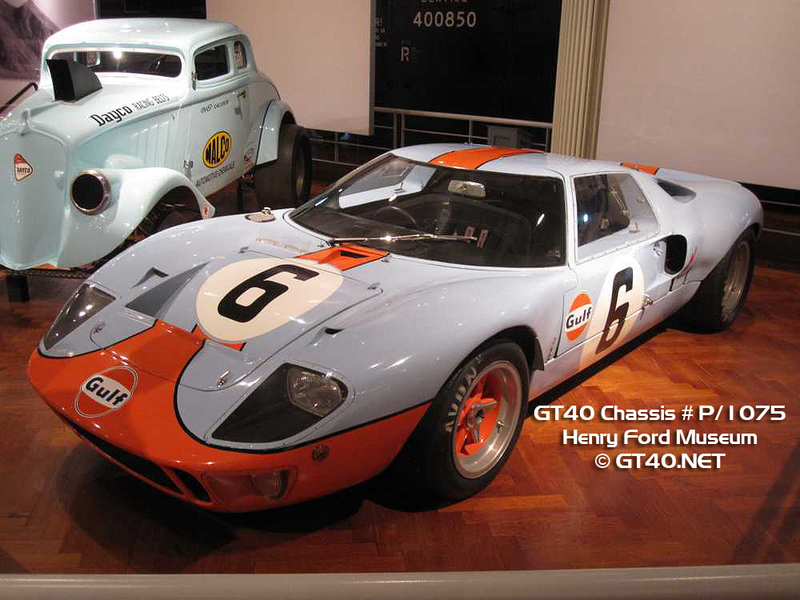 Yet Gurney was Disqualified from finishing in second place for pushing his stricken GT-40 Mk II across the finish line! Handing victory over to Ken Miles and Lloyd Ruby. As it should have been Gurney's second Sebring win. Then FoMoco' won its third and final 12 Hours of Sebring with its venerable GT-40 when the Wily John Wyer dusted off some of Ford's original Mark I's and refined them to meet the FIA's latest rule changes for 1968's World SportsCar Championship, intended to stop Ford from winning in France with its Nasty Big Block seven litre 427cid V-8's. As history denotes that Ford GT-40 Mk I Chassis No. 1075 became the first chassis to win the venerable Le Mans 24hrs race twice consecutively, albeit with different drivers, including Jacky Ickx, who was the original "Monsieur Le Mans!" As Ickx has won not only Le Mans six times, but also Sebring twice, beginning in 1969 with Jacky Oliver, aboard a Ford GT-40. Before winning again in '72 with Mario Andretti for la Scuderia, nee Ferrari. As Ickx & Andretti swept both of Florida's endurance events, beginning with that year's Daytona Six Hours race and Sebring. Along with the Watkins Glens Six Hours race, notching a "Three Peat" aboard that year's World SportsCar Championship Manufacturer's champion's Dunlop tyres shod Ferrari 312PB. Yet Dan Gurney, remember him, Eh? Paired with Chuck Daigh, Phil Hill and Olivier Gendebien did win the 1959 race aboard one of Scuderia Ferrari's three Works Ferrari 250 TR 59's. As the car was initially entered for Gurney & Daigh, but after the factory's winning tandem of Hill & Gendebien's car retired, Ferrari opted to add them to this entry in order to ensure they won that year's event. And another of the famous 1950's winning Marques is making a comeback. As the iconic Jaguar D-Type won in '55. But it wasn't a Works effort, instead a customer car entered by one of America's biggest Sports Cars names of the early 1950's. as Briggs Cunningham, whose own chassis won the 1953 event outright, scored Jaguar's lone Sebring victory with Mike Hawthorn and Phil Walters behind the keyboard of those iconic D-Type's, for which Jaguar's now producing a limited continuation run of 25 units. And although I don't think the great Jimmy Clark ever raced at Sebring? I was unawares' that he'd raced for Aston Martin "Back-in-The-Day." As ironically one of the main contenders Gurney & Co. beat in '59 was the lone factory Aston Martin DBR1, entered for Carroll Shelby and Roy Salvadori, as this was during 'Ol Shel's driving days.